Wholesale Trader of a wide range of products which include refurbished laptop lenovo t420 and refurbished laptop lenovo t430. 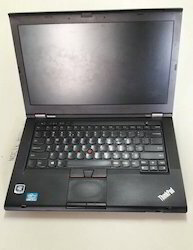 Lenovo t420,Core i5, 2520m,2.5Ghz,(2nd genration),4gb DDR 3 RAM, 320 Sata HDD, DVD Writer, Card Reader,E-Sara Port.USB 2.0,2Nos,Bluetooth, wi-fi, HDMI,VGA,Lan, 14" Display with Adaptor, Bettery Backup. 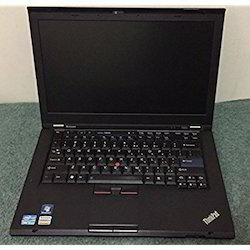 Lenovo T430,Core i5,3320m,2.6ghz,(3rd Generation),4gb,DDR3 RAM, 320 gb sata HDD,DVD Writer,Card Reader, USB 3.0,2nos. USB 2.0, 1no, Blutooth, wi-fi,VGA, LAN, 14"Display with Adapter,Bettery Backup.